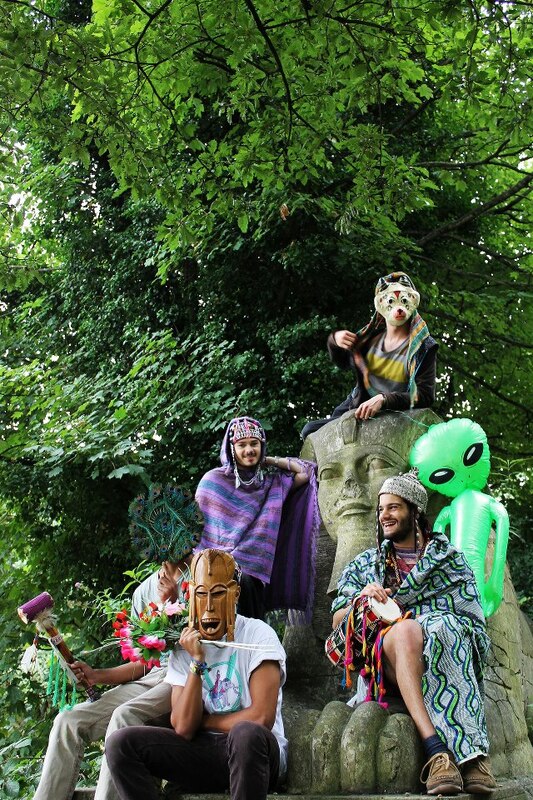 Flamingods is a five piece multi-instrumental experimental band originally started by Kamal Rasool in late 2009 as a bedroom project. Their sound has been described as ethnic pop, with elements of noise, tribal and freaked folk. They use a number of percussion instruments, some of which were collected during Rasool’s travels to places like Tanzania and the Amazon. They are based in London, UK. The band’s story begins in Bahrain, where 4 of the 5 members (Kamal, Sam, Craig, and Charles) met. Upon moving to London they became friends with Karthik and so Flamingods were formed. 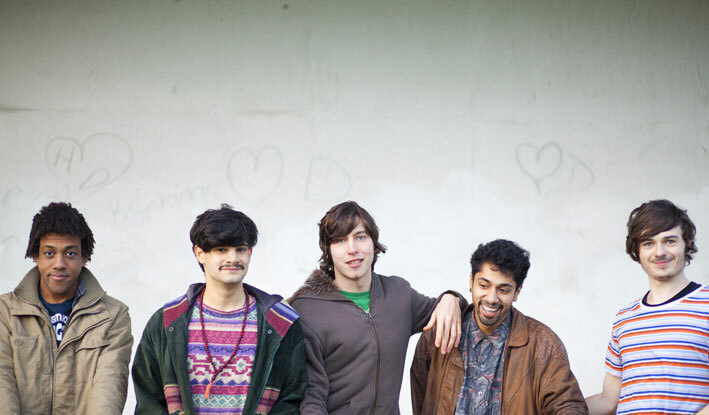 As early gigs go, Flamingods’ couldn’t have gone much better. Having all bought tickets to the Animal Collective-curated ATP festival, they decided to take along a selection of their huge instrument collection and embarked on an eight hour set in a chalet on-site – with up to 60 people crammed in to try and grab a view of their constantly changing line-up and enchanting tribal rhythms, and those who couldn’t squeeze in danced outside or tried clambering through windows. On January 21st 2013 the band released their debut album entitled 'Sun' with Art is Hard Records.